GENEVA, Ill. (WLS) -- An autopsy performed by the Kane County Medical Examiner's Office found 47-year-old Donald Tentler was crushed to death Friday. Tentler died of asphyxiation due to a mechanical compression, the autopsy found. 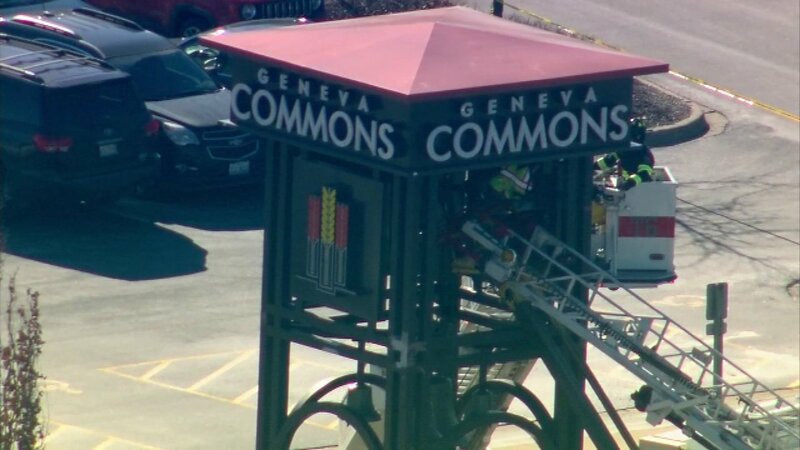 Emergency crews responded to Geneva Commons shortly before noon Friday, Feb. 3, where they found two men in a service bucket. Fire officials said Tentler was already dead when they arrived. Kane County Coroner Rob Russell asked people to keep Tentler's family in their thoughts and prayers. "Our hearts go out to the family and we'll support them in any way that we can as we work through this tragedy with them," said Geneva Police Chief Eric Pasarelli. "I just think it's a tragedy to have someone go to work and not go home to their family," said Brian McCarthy, witness.